This is an urban art story, it is my story. It involves my life and the lives of a unique group of people of which I am proud to be one. It is the story of how a thought became a dream and how that dream has come to define an entire era. In language, fashion, attitudes, and art which have all been heavily influenced. &nbsp;In the summer of 1989 I was standing on stage getting ready to be filmed for the hit pop show that was ‘Top of the Pops.’ Nicky Campbell introduced us and it was lights, camera, action. It felt like all eyes were on me as the music filled the air creating the type of atmosphere that I thrived in. I was ready for this, it seemed my whole life, everything I had been through made sense at this defining moment in time. 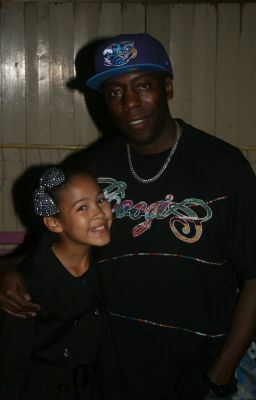 I looked good; the original UK B-Boy was in the house. Girls were screaming as I burst into rhyme, the words flowing like a stream going down a mountain. Next there was a crescendo of screams that greeted me as I began to move to the beat, I was in the zone like a snake charmer mesmerising the crowd, taking them to that place where dreams are formed. This wasn’t your regular commercial pop icon; I was a rising voice in the UK hip hop scene.